Register for the next Women in Health and Safety event, hosted by the HSE Recruitment Network. Taking place on 17th November in Birmingham, the theme of this networking event will be on the subject of diversity and inclusion and will be run alongside the HSE Leaders Connect network which provides a platform for HSE thought leaders to engage with one another and exchange ideas. 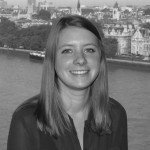 Speaking at this event will be Joel Blake, OBE, a tech entrepreneur, public speaker and facilitator, and Pamela McInroy, health and safety specialist within diversity and inclusion at Crossrail. Sign up today to attend the event, hear from specialists and network with fellow professionals at the University of Birmingham. 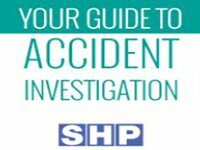 In partnership with Southalls this guide is designed to help guide you through the accident investigation process from start to finish. Whether you have years of experience in accident investigation, or you have never experienced the process before, this guide outlines the most fundamental parts of the investigation process, and encourages you to ask questions that you may not have previously considered. Who is Steph McGovern, inspirational speaker at Safety & Health Expo 2019?